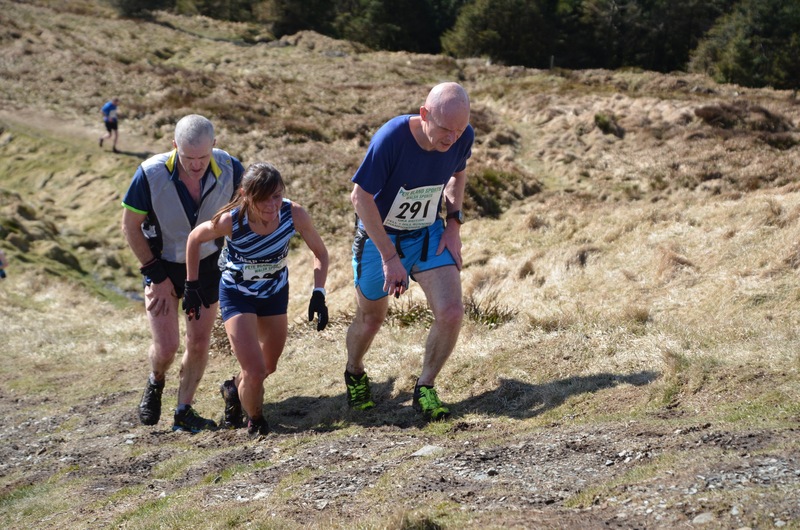 Seamus Lynch and Esther Dickson win The Fallows Mountain Race! 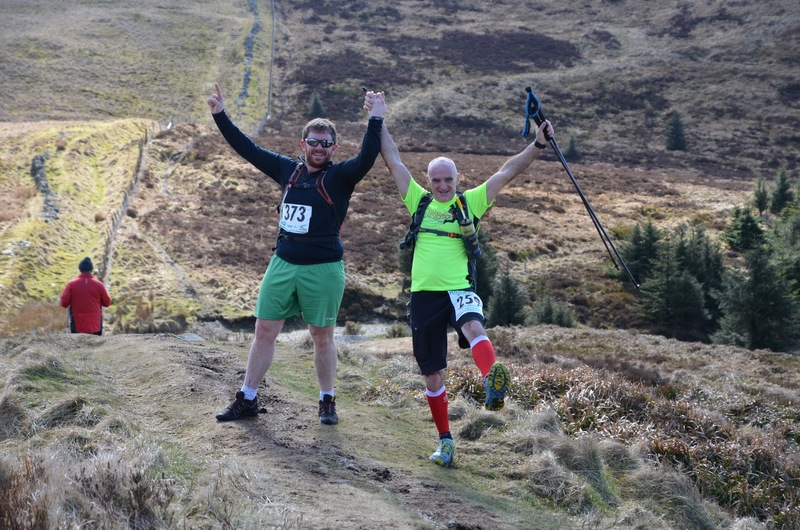 The Fallows Mountain Race 2018 (inc Race 2 of NIMRA Championship 2018) – report by RICHARD BELL and photos by JAYNE BELL. 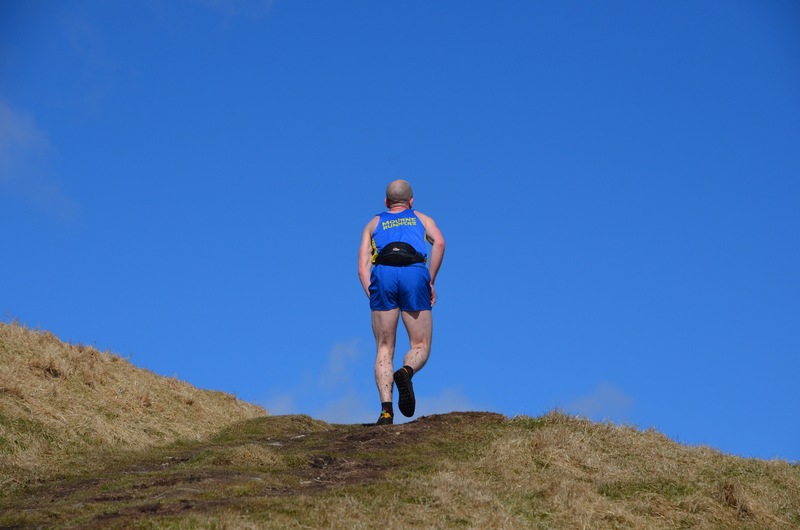 A record 109 runners turned out under deep blue skies in Rostrevor this morning. Undeterred by online entry they took their places at the forestry hut eager to get stuck into the Badger’s Claw. At 11am the race whooshed out of the start area and straight into the climb. Traditionally this race has bypassed Fiddlers Green and headed out to the bottom of the Badgers Claw. Sadly with all the bad weather there were trees on the bottom section of the fearsome claw so we took the longer climb up Fiddlers Green before rejoining the claw further up the hill. The claw was unrelenting as always. It didn’t help that the ground was badly churned up from mountain biking. 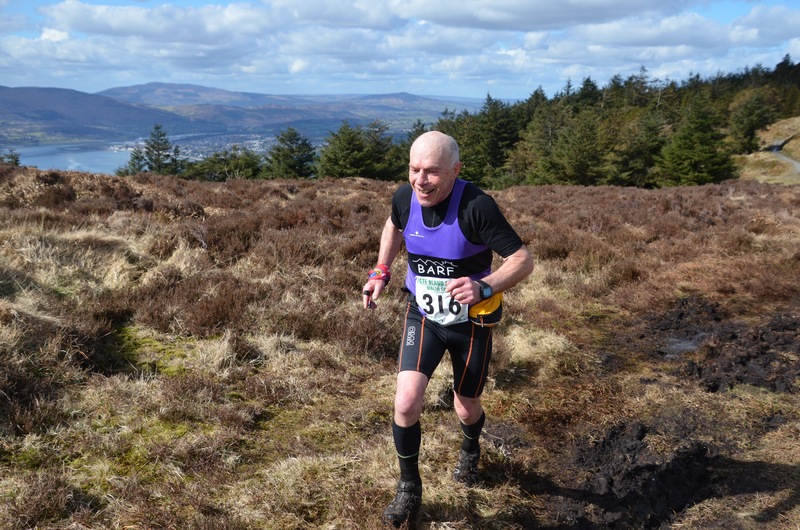 The front of the men’s race was being led by Salomon and Newcastle AC athlete Zak Hanna, Newcastle’s Seamus Lynch and Willy McKee who hails from County Down’s finest hill running club – the Mourne Runners (these reports are free from bias). 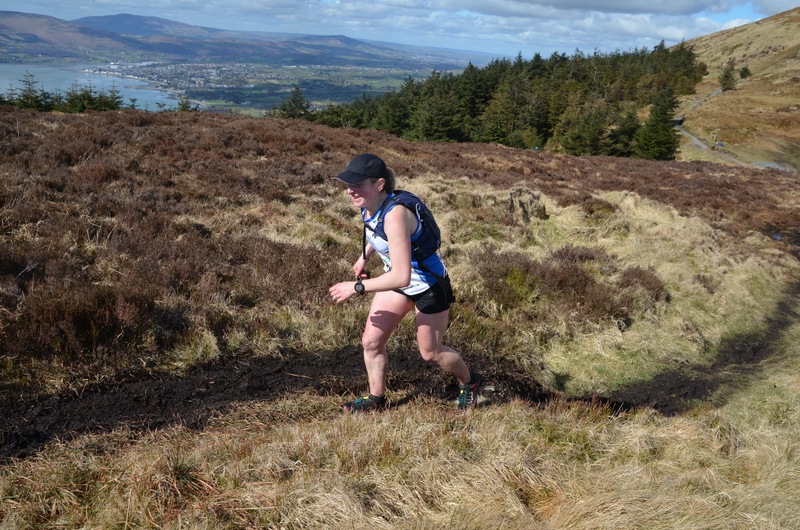 Newry ACs Esther Dickson was leading the charge in the women’s field with Lagan Valley AC runner Shileen O’Kane and Dark Peak’s Megan Wilson hot on her tail. As the race came out of the claw onto the open mountain the ground started to get a bit heavier and everyone’s legs started to burn. 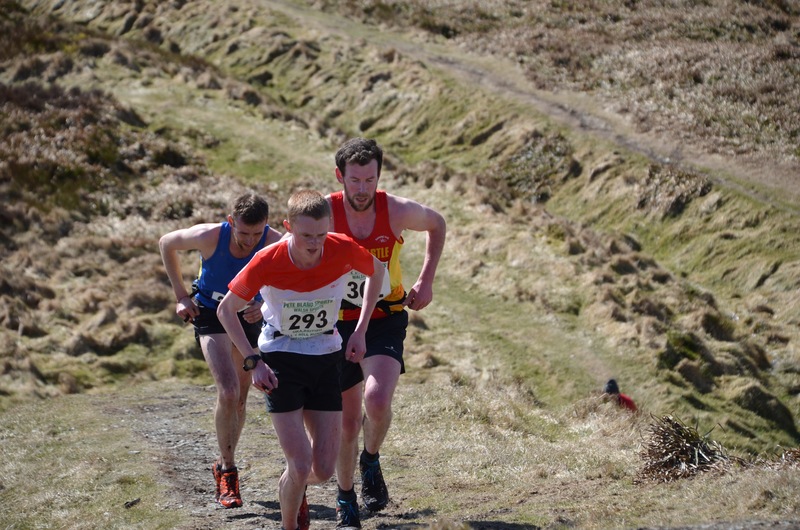 It was a bit like formula one qualifying at the top of Slieve Martin and only a handful of seconds separated the front three men. Zak dibbed in first for KOM points followed by Seamus and Willy. 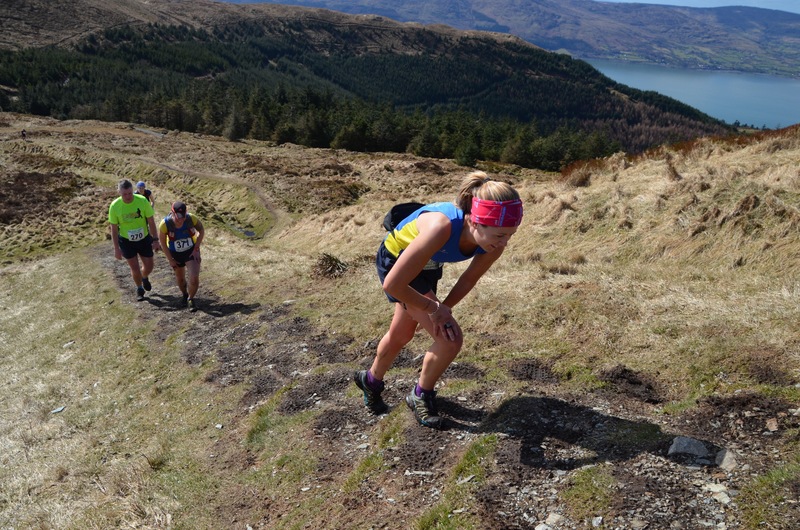 In the ladies race Esther had opened a 45 second gap on Shileen who in turn had 20 seconds on Megan. The melee proceeded at breakneck speed down the precarious heather tufted path beside the fence on the way to Crenville. I always visualise myself tipping face first onto this tetanus ridden relic, but thankfully nobody ever has. This leads into the middle earth section with the elephant grass, moss and tree tunnels. It all felt like deja vu again with our feet sinking into the ground and the strength literally being sucked from our legs. Zak and Seamus dropped Willy descending off Crenville on a path which doesn’t resemble a path. Meanwhile Esther was taking no prisoners and powering over the ground like it was paved. On the long, long run to the zig zags Seamus broke away from Zak. Willy kept plugging and he too passed Zak and was chasing down Seamus. 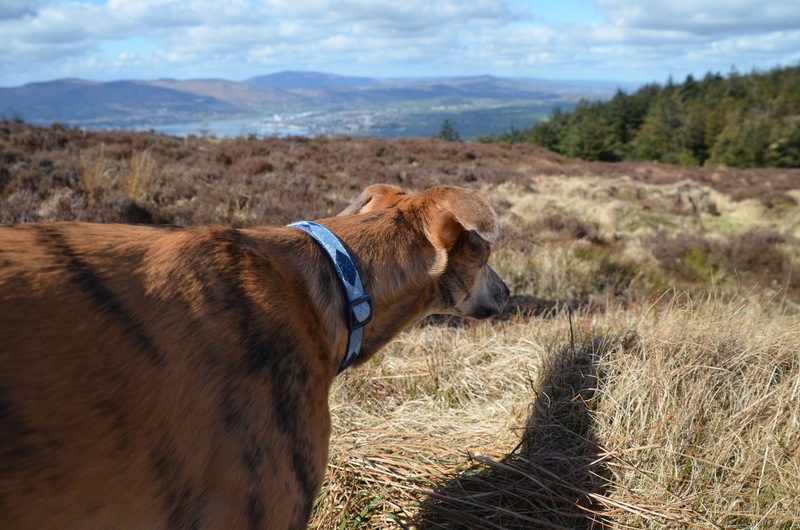 By the time they had climbed the zig zags and chomped through the open mountain to Slievemeen Seamus’s lead on Willy was only two seconds. The steep sketchy descent down the geronimo drop to Fiddlers Green proved decisive and Seamus made it two wins out of two with Willy and Zak coming second and third respectively. In the ladies race Esther Dickson ran hard to the zig zags and then blasted up them to leave no doubts about who was going to win race. 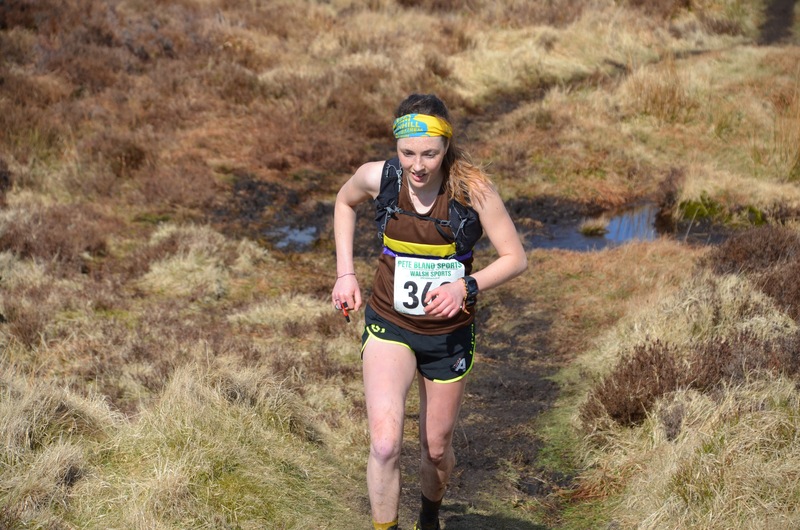 The ever tough Shileen ran brilliantly on the last section of the race to secure her second position followed by Dark Peak’s Megan in third. After the race I was chatting with a runner who admitted that they had been training to beat me. This is the second person to join this prestigious club in recent months. If anyone else spends their free time visualising how it will feel to stomp all over my face please let me know. Perhaps we can create a new category. For what it’s worth it’s currently a score draw. I will make sure to add a league table to NIMRA so everyone can follow this engrossing battle ? Thanks to Newry City Runners, The Mathers family, James ‘Diberman’ Carr and everyone else who helped out at the race today. 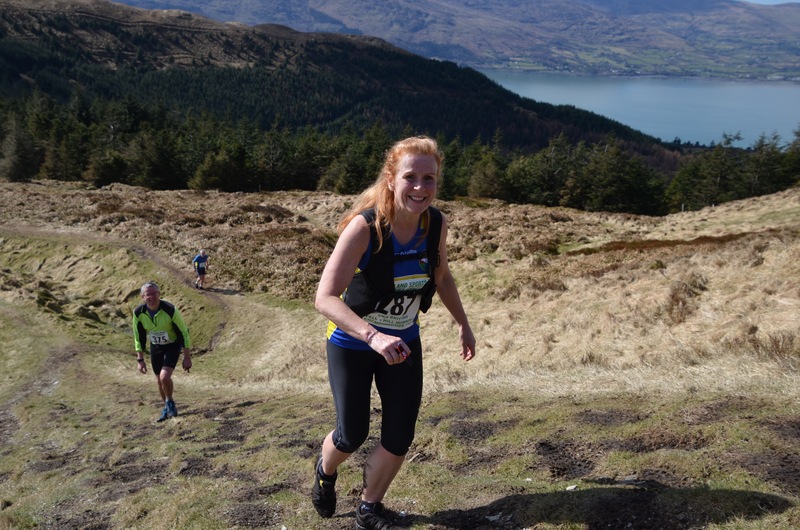 The next mountain race is the rescheduled Gullion event. This victim of the Beast from the East now takes place on Saturday April 7th at 12pm. Please remember to bring all the mandatory kit and consider car sharing as parking is limited. We’ll look forward to seeing you all then.